Just like her husband, Dr. Cabrera, Dr. Vargas was initially drawn to dentistry as a way to help her community. She saw it as an opportunity to learn how to provide a much needed service for people who normally don’t have access to high quality dental care. And, she has always been a very caring and detail-oriented person, both qualities which make her a perfect fit for dentistry! After initially going to dental school at Universidad Nacional San Luis Gonzaga de Ica in her native Peru, Dr. Vargas attended and graduated from the Loma Linda University School of Dentistry in California. Over the years since then, she has taken continuing education courses through the American Orthodontic Society and is constantly learning about new techniques and technology. 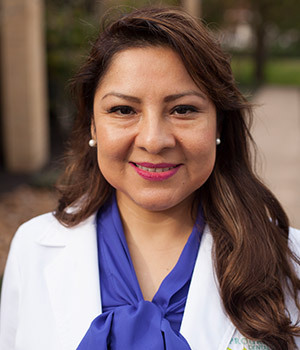 Away from the office, Dr. Vargas enjoys spending time with her family (Dr. C and their young son) and is very involved in church-related activities. She also enjoys reading and exercising to help her unwind.